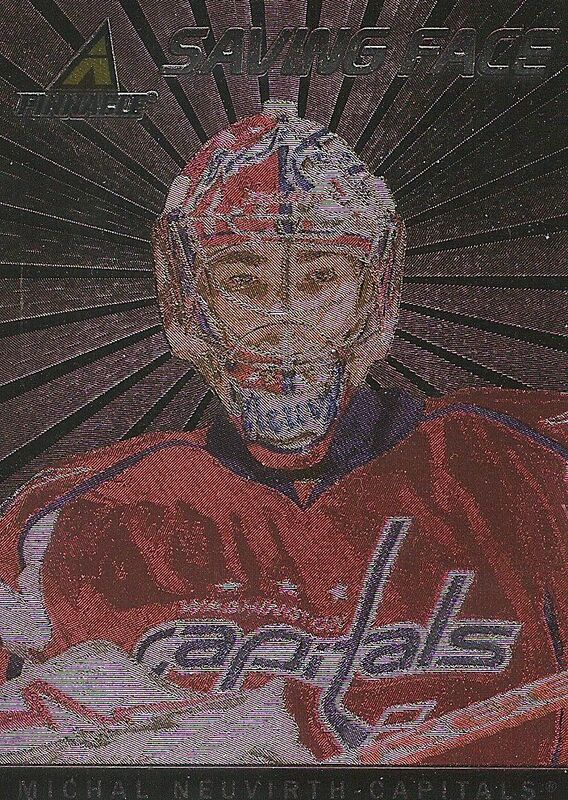 This is the third and final blaster of 10/11 Pinnacle from my last card order. Panini must have made a TON of this product as it is available for a very good discount... and it still hasn't run dry yet. Pinnacle is a great product at a low price. It's particularly good for newer collectors just getting into the hobby as it provides some nice shiny inserts as well as a numbered hit! Pinnacle is an easy product to enjoy. 10/11 was Panini's first year back in hockey, and they were trying a lot of different things to mix it up. Pinnacle should have been one of Panini's core products, but it just hasn't panned out that way. I fault lackluster rookie card design for some of this. The Ice Breakers rookie card set is one of my least favorite cards ever. The Ice Breakers logo looks like a casket! There are some good aspects of Pinnacle though. You can pretty much expect to get a hit in every blaster, and the hit will be individually serial numbered. The photos look great even though the design may not. There are also plenty of shiny Nufex foil cards to be found in here! I felt like this break was pretty quick, the eight packs just flew by! This was actually a pretty decent break of Pinnacle. I initially thought that I didn't get enough inserts, but I think I got what I was supposed to get. Out of the eight packs, five had an insert or a hit in it. Though 2010/11 had a bunch of good rookies, I ended up getting Jared Spurgeon. And yes, I only got one rookie card. For some reason I think there should be two in a blaster. No matter, as you know I'm not a huge fan of the Ice Breakers anyways. I did end up pulling a Tough Times card of Nick Fotiu. Apologies for not knowing how to pronounce his last name in the video. He was before my time. When I first got back into hockey card collecting, I wanted to PC a Sabre because I liked them a lot in the early 90's. On a whim I chose Thomas Vanek. 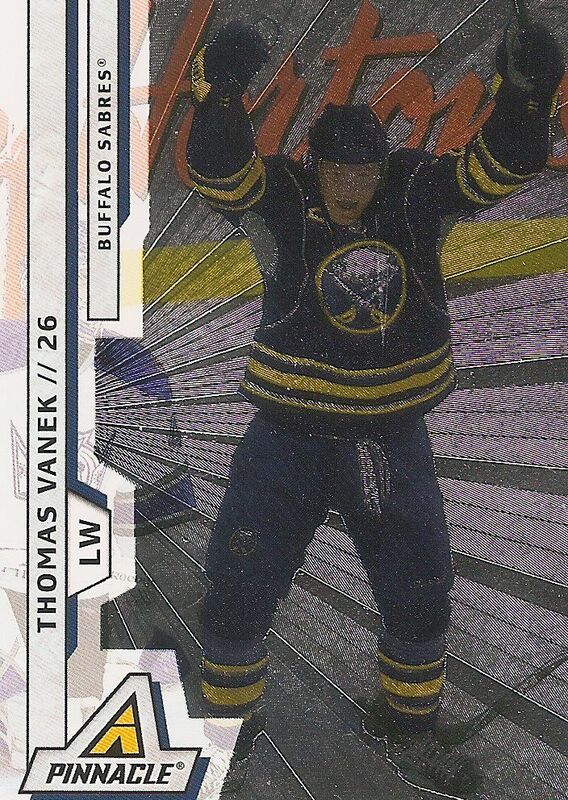 Vanek was a good player for Buffalo, but he wasn't big in the hobby. I stopped collecting him a while ago, but I still enjoy pulling his cards. I haven't gotten many of these Saving Face cards in my blaster boxes. They might be slightly more difficult pulls than other insert cards. These Saving Face cards remind me of some of the more desirable insert cards of the 90's. I bet if this were back then, this card would be a pretty nice hit. 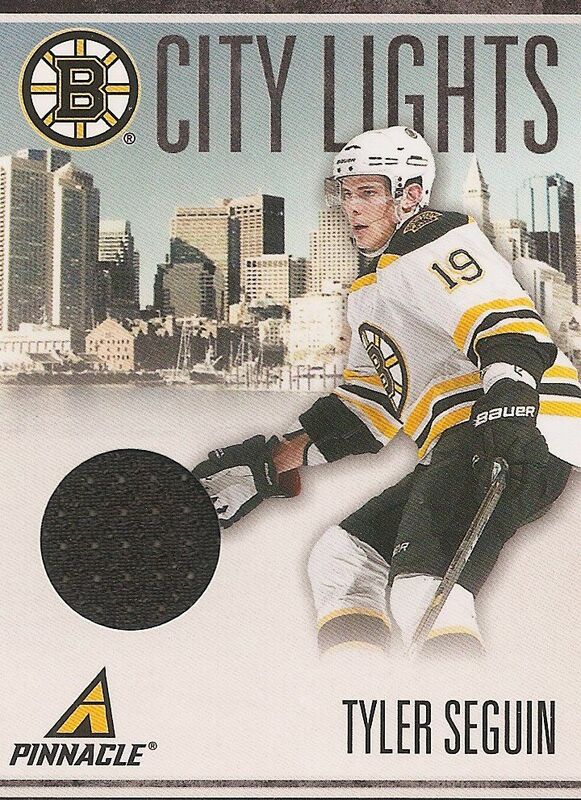 This may be the best City Lights card I have pulled from a blaster. Tyler Seguin was one of the top rookies to find in 10/11, so if I had gotten it then, I would have been pretty happy. I'm still very happy with this card, but it lacks a little luster as he has since been traded to the Dallas Stars. This blaster was a very solid box. I really liked my two Nufex cards, and the Tyler Seguin jersey put the break into good territory. 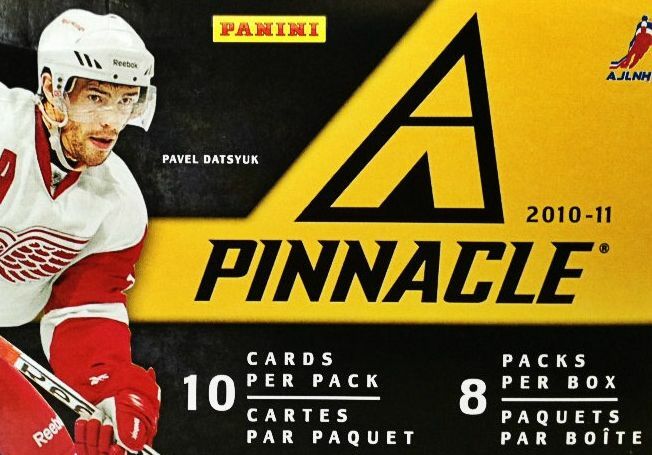 At the price they are currently at, I definitely would recommend getting some blasters and enjoying a little hockey card break. There seems to be quite a few of the blasters still for the taking... but that can't last too much longer, can it? Well, I'd suggest getting some just in case!